This "Egg-venture" has a number of "Egg-cellent" bonuses. Pokémon GO strolls back into holiday-themed in-game events with “The Pokémon GO Eggstravaganza,” which provides a boost to anything Egg-related in the game. Though not explicitly Easter-themed, it’s impossible to deny the connection. While little is known about exactly which Pokémon will be hatchable throughout the course of the event, fans are speculating that more rare Pokémon like Lapras and Snorlax — which typically only hatch from 10 km eggs — might just be on the table. More Candy from hatching the eggs just means that Pokémon will be that much easier to upgrade and/or evolve. Double the experience is universally useful. And Lucky Eggs, which grant double experience for 30 minutes at a time, are at the all-time low price of $0.40, and the official website promises that the experience multipliers will stack: “Combine this Egg-cellent bonus with a Lucky Egg, and you’ll earn four times the XP you normally would.” Eggs have always been a central part of the Pokémon GO experience, and for the next week at least, it’s going to be perhaps the most important thing to do. 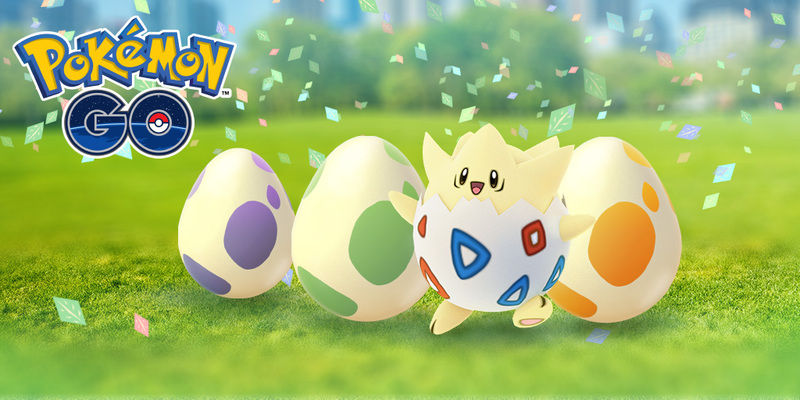 The Pokémon GO Eggstravaganza kicks off at 4 p.m. Eastern today (April 13) and concludes at 4 p.m. Eastern on April 20.